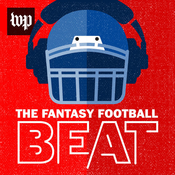 Des Bieler, Jeff Dooley and Mike Hume discuss Todd Gurley's historic, league-winning run, while lamenting the likes of Jay Ajayi, DeMarco Murray and Amari Cooper, who turned out to be high-priced anchors around fantasy owners' necks. Fantasy analyst Brandon Marianne Lee joins Des Bieler and Jeff Dooley to go over some players of interest in fantasy's most important week, including wide receivers for the Steelers and Jaguars. Key observations and waiver wire advice from a week in which the Eagles' offense managed just fine with Nick Foles filling in for Carson Wentz. With so much at stake, which big names are looking like shaky starts, and who could become unheralded heroes? Des Bieler, Jeff Dooley and Mike Hume answer those questions, and they also offer some Carson Wentz replacements.